Double B Goldens believe that NuVet Plus and NuJoint DS work better than just a vitamin. These really make a difference in the health of our dogs and puppies. 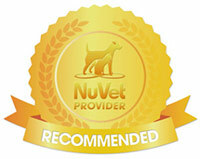 We use and recommend NuVet Plus vitamins for our white golden retrievers and white golden retriever puppies. After some time on these vitamins, we have noticed that our mamas bounce back after delivery of their puppies, faster than they did without the vitamins. Their coats, skin and weight return to normal more quickly as well. It has benefited our puppies by helping to boost their immunity system which is in such jeopardy at a young age, making them strong and healthy Golden Retriever Puppies! The newest benefit we have seen from the NuVet Plus is in our five to six year old dogs; after taking the supplement for a while, they have become more lively as opposed to being sluggish and less active. It’s a great product. 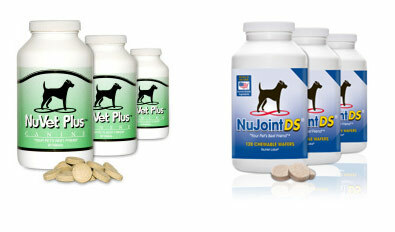 NuVet Labs has been involved in helping keep pets healthy since 1997. NuVet Plus and NuJoint Plus are made in an FDA approved lab with natural, human-grade ingredients. NuVet Plus offers valuable antioxidants, amino acids, vitamins, and minerals that can help boost your Golden Retriever’s immune system. NuVet Plus and NuJoint Plus are cold processed and paddle-dried to maintain the highest amount of quality nutrients for your dog. NuVet Plus reviews from users around the world tell the story of how their pets have been kept healthy and seen improvement and relief of symptoms after taking NuVet Plus. Our 26 years of raising Golden Retrievers has been an amazing experience. 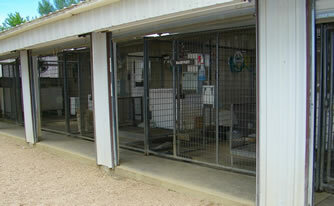 We have found that PRIEFERT makes the perfect kennel for our operation. It is important to have comfort, durability, safety, and at various times isolation, to carry out our breeding program. We at Double B think it is the best on the market today! Visit Priefert’s website or call them at (903) 572-1741 or (800) 527-8616. It is the most important decision for the health of your new puppy. 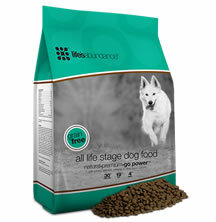 For detailed information or to order dog food for your puppy please go here.